Station 2 is now in full operation serving a large portion of Audrain county including Benton City, Rush Hill, Laddonia, Martinsburg and the eastern rural portion of Audrain. We have one ambulance staffed 24/7/365 at this location. Station 2 base when both ambulances based in Mexico are out on calls will be responsible for coverage until one of the station 1 ambulances return back in service. 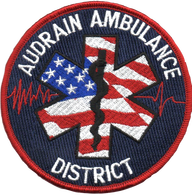 Audrain Ambulance District was created to provide emergency ambulance service when the existing ambulance provider ceased operation on October 1, 2009. The district covers the Mexico Public School and R6 School districts of Audrain County, Missouri and our Administrative offices are located at at 440 Kelley Parkway, in Mexico, MO. We invite you to browse the website and learn more about what services we have to offer.